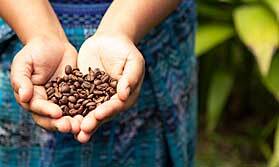 Tribes has been arranging tailor made holidays in South America since 1998, and we recently introduced Central America’s Costa Rica to our portfolio. Our expert consultants have travelled to all the countries we sell, and know them extremely well. They can advise you why, when and where to go. Our Latin America travel team includes Paul Cook, Sinead Bailey, Rory McCormick, Guy Marks, Alex Neaves and Fernanda Costa, all of whom would be pleased to help you plan your holiday if you call them on 01473 890449. Bolivia is a country of immense natural beauty. In the west the dramatic Andes Mountains tower over high altitude arid plains and mirror-still lakes. 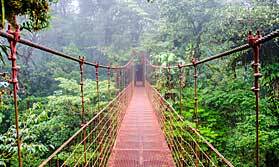 White sand beaches and turquoise seas, vast Amazonian rainforests and lively, diverse culture. A long, tapering country sandwiched between the Pacific Ocean and the Andes Mountains, Chile stretches for 4,300 kilometres down the west coast of South America. 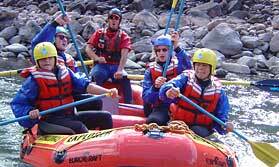 A combination of thick rainforest, great wildlife, beautiful beaches, volcanoes and exciting activities surely can’t be missed? Probably the world’s most unique wildlife destination, where the animals have no fear of mankind. High Andean mountains, Amazon rainforest, Lake Titicaca, llamas, and of course Machu Picchu. It couldn’t get much more South American. 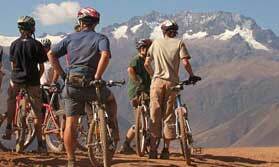 Read about some of the great experiences you could have in Latin America. 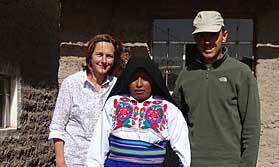 Enjoy staying with a family on an island on Peru's Lake Titicaca. 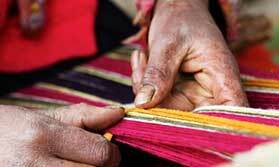 Witness the skill of traditional hand weaving first hand while visiting remote villages in the Andes. 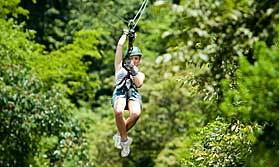 Discover the rainforests of Costa Rica from a different perspective, high up in the tree tops, a unique experience. 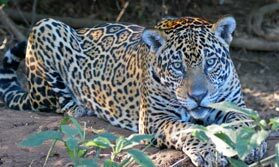 ideal tailor-made holiday to Latin America.